This is the Colorado Experience! 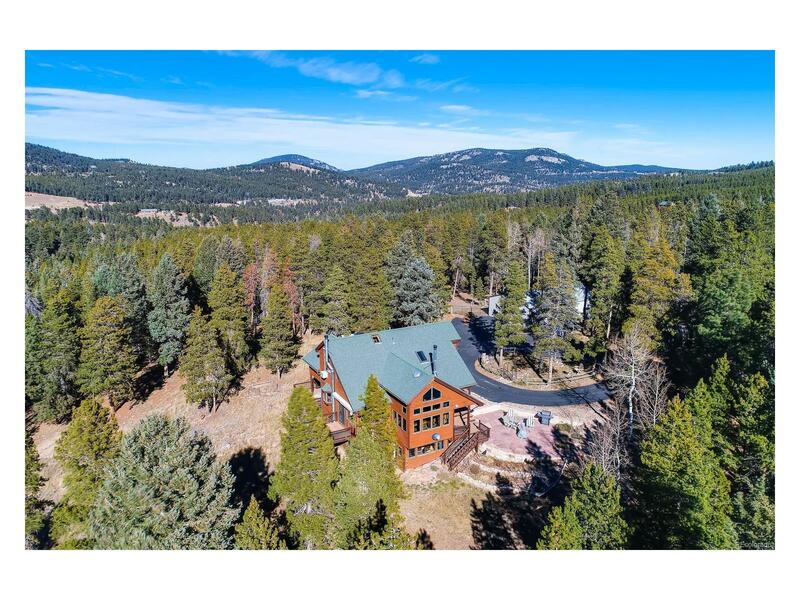 Secluded, private and peaceful with Snowcapped Peaks and Meadow Views on 20 acres. Perfect for work from home or commute. The 1,351 sq.ft. garage with 10 ft door is currently split with room for 2 cars in Â½, and a double stall and tack room in the other Â½. Move right in with your animals, trails for horseback riding, walking & ATV's. If you donât have animals, it would be a fabulous workshop for wood-working mechanics or whatever. Open living with an easy flow, vaulted, light and bright. Amenities include motion sensor lights, retractable awning, A/C in Master and more. Landscaped with flagstone patio, gardens and play area. Too many features to list â come and see if this is your new home!